Back in August I participated in an artist showcase with the RAW Artists chapter in Reno, and this week I found out that I’m one of the top five nominees that will be judged to to move on to the semi-final round! Being nominated is based on getting votes, and honestly I had no idea that I was eligible to receive votes… so I did zero promotion for myself, very sad. So I have to thank everyone that did take the time to vote me up and show any kind of support, especially to my coworkers and fellow nominees Nicole Oshan and Alex Fleiner who spread the word about voting and who I’m sure were the sole reasons that I received any votes at all! Please click on their names and check them out! I should know the results of the regional judging in the coming weeks. 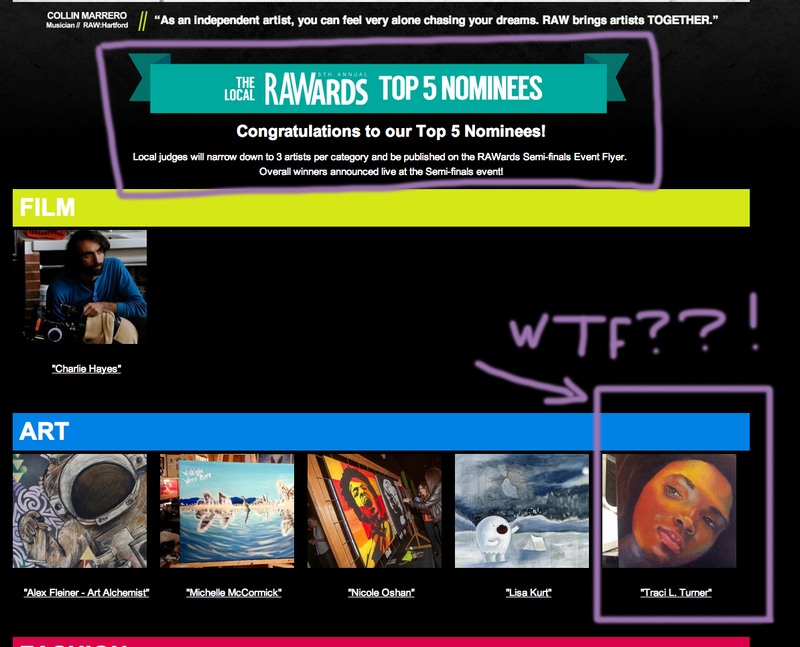 Good luck to all of the other RAW artists who are nominees in their cities, and a huge congratulations!